You are a single parent of two young children. Perhaps you have a good job in an office somewhere in Houston keeping the books or answering the phone. Or maybe, your job isn’t that great. Perhaps you are one of thousands who work not one, but two jobs, in the fast food industry just trying to keep a roof over your children’s heads, food in their stomachs, and clothes on their backs. Either way, you are living paycheck to paycheck. Now, take out 30 percent of your check and give it to childcare. Where does that leave you? What is a Childcare Desert? More than 20 years ago, the term “food desert” was introduced into our global vocabulary to describe geographical areas in which there was little to no access to fresh, healthy foods. 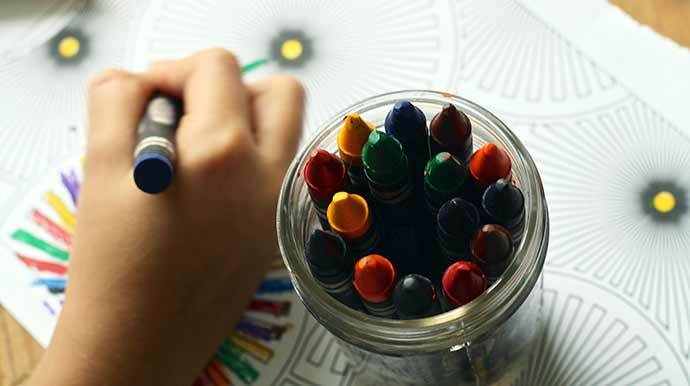 More recently, experts in the field of child wellness have coined the term “childcare desert” to describe geographical areas bereft of quality childcare for children who are too young to enter the public school system. Families need safe, affordable, clean childcare. Additionally, there is well-documented benefit for the development of children, and success later in school, for children who have access to quality early childhood education. But for many families, either due to cost or simple lack of availability, great childcare is simply out of reach. The Texas Annual Conference’s We Love All God’s Children initiative seeks to improve the lives of under resourced children through literacy, health, and discipleship (faith-based learning). One way the Conference will further this initiative is to support quality early childhood education in childcare deserts through United Methodist Church day schools. Through this effort, the TAC will share the love of Christ with children by offering them safe, clean, nurturing childcare that prepares them for educational success. These day schools will benefit the entire family by allowing mothers of young children to enter the workforce, bring home substantially “Through identifying childcare deserts in our Annual Conference, we are able to better to focus our time, talents, gifts, service and witness to underserved families. We are excited to partner with day schools in these geographical areas to offer affordable excellence to families whose children are at risk of failure to thrive,” said the Rev. Jill Daniel, Director of We Love All God’s Children. For more information about childcare deserts and how your church’s day school can partner with We Love All God’s Children, contact the Rev. Jill Daniel at jdaniel@txcumc.org.